A Sutton man who threw a pint glass over his shoulder and cracked a pub window during the “silly season” was handed a court bill of more than £600. CCTV captured Shane Groves cracking the window, and causing £507 of damage, at the Fox and Crown, on Dalestorth Road, on December 23, last year. A taxi had been called and the driver told Groves to get in, if he was coming. “He said “right then” and threw the pint pot over his shoulder,” said Mr Grant. He said the welder was currently caring for his mum, but hoped to be starting work again soon. 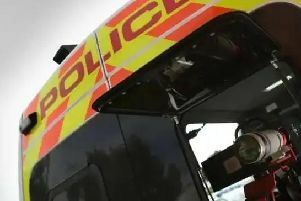 Groves, 25, of Hazel Street, Skegby, admitted criminal damage, when she appeared at Mansfield Magistrates Court, on Wednesday. Magistrates gave him a 12 month conditional discharge. He was ordered to pay £507 compensation, as well as £85 costs and a £20 government surcharge.